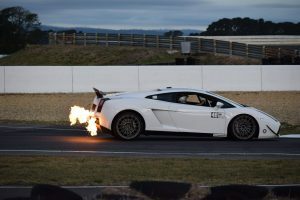 Performance Driving Australia is home to the Tasmanian Supercar Experience – bringing a range of high performance cars to tracks around Australia. Full Race Experience with coaching and multiple track sessions so that you can learn the car and track and enjoy this amazing experience. Limited 6 Drivers Per Day – Don’t miss out! 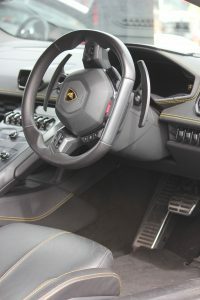 TOURS – You drive a mix of amazing supercars with your best friend along side you for this one in a life time experience. Short / medium and multiple day tours available covering some of the most scenic locations in Tasmania. Packages can include lunch and/or stops for morning afternoon tea. Enjoying these cars on amazing roads is the best way to really appreciate them! TRACK – Maybe you prefer a short, fast and exciting blast around one of our two race tracks (Baskerville Raceway and Symmons Plains). We have also now added dates for Sandown Raceway in Melbourne. A drivers briefing before you hop in alongside an experienced PDA driver-trainer/racer who will let you open the throttle on the main straight to experience the real rush and excitement of a supercar. CORPORATE TRACK DAY – Why not contact us about a day for your team that will leave them pumped up and motivated! Packages are flexible and can include road safety presentations, sales/motivational presentations and lots of driving on a race track! PASSENGERS – Passenger rides will be available at different times and locations during the year. These are ideal for your family members/gifts and will be advertised on both our facebook page and booking site. Bookings for special events can be arranged on a case by case basis and will need to be discussed by emailing our team. 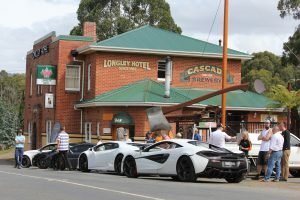 Performance Driving Australia bring you a selection of amazing driving experiences in some of the most amazing machines you can drive on our roads. ALL TOURS can be requested on any date if you have 2 drivers (subject to availability). *Please note that there are terms and conditions that must be agreed to before any tours or track activities commence. An agreement will include verification of your full licence, minimum age (25 in most cases), bond/security of up to $5000 as well as a signed agreement to cover any damage caused at-fault by a driver. ​Your experience will commence with a friendly briefing over a fresh cup of coffee, tea or juice at a fine cafe. The briefing will cover the trip details as well as important information on the vehicles and introduce you to the other tour participants and leaders. Once you are briefed and ready to go – you and your passenger will follow the PDA lead vehicle for a guided drive tour on some amazingly – carefully selected roads so that you can enjoy the vehicles comfortably and safely. During the tour you will stop in at a number of scenic spots. The stops allow you to capture some photos to remember your unique experience and take a breather. Also allows for drivers to swap vehicles (if applicable). Morning or Afternoon Tea is included in all tours. Full Day tours also include a fabulous lunch at one of a handful of carefully selected restaurants. *Please note that there are terms and conditions that must be agreed to before any tours or track activities commence. An agreement will include verification of your full licence, minimum age (25 in most cases), bond/security well as a signed agreement to cover any damage caused at-fault by a driver up to $5000. This is a unique and exciting experience and so we welcome your questions – please contact us for more information.